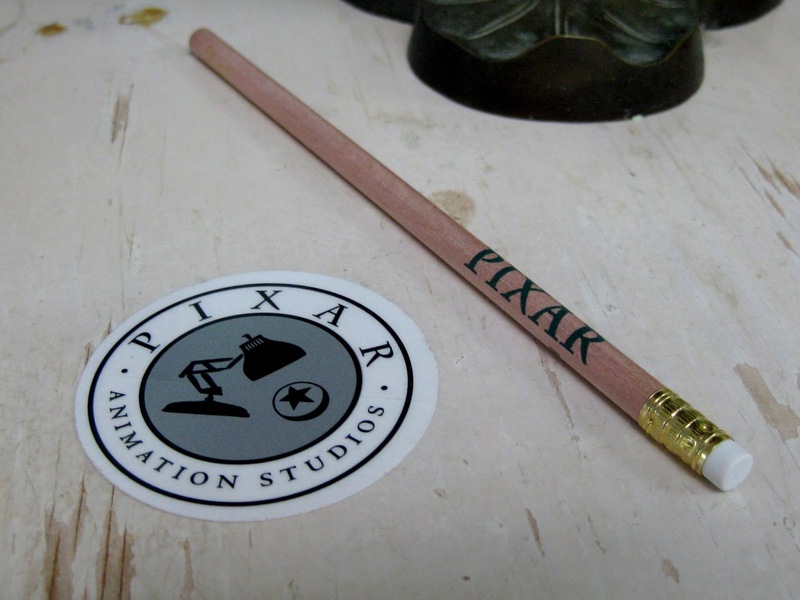 Directly from the Pixar Studio Store in Emeryville, CA, here we have a couple of cool little trinkets— a Pixar Animation Studios sticker and pencil! 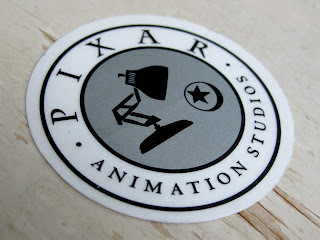 A huge thanks to my good friends T.J. and Julie (from PixarPost.com) who picked these up for me during there recent visit to Pixar (when attending the Inside Out press event...lucky guys)! It was super generous of them to think of me and I really appreciate it. 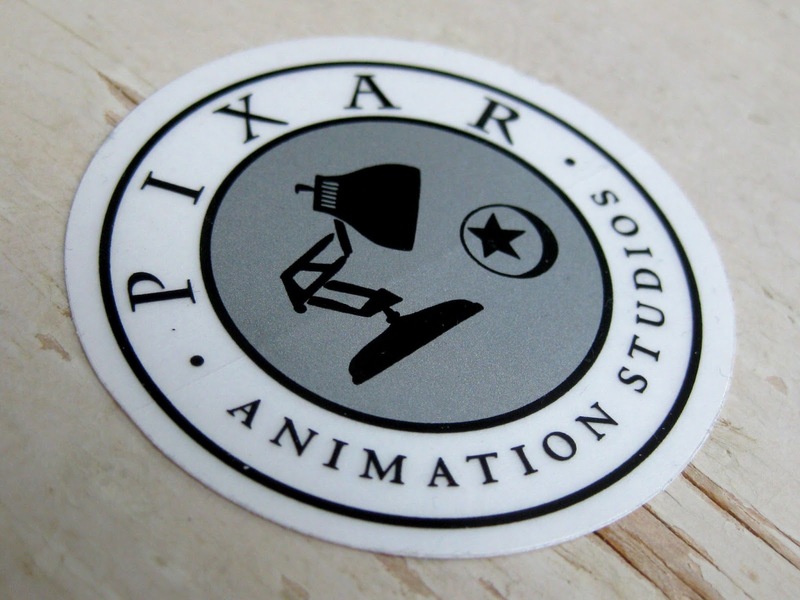 These are super simple items, but slap the Pixar logo on anything and sell them exclusively at the studio and I'm instantly sold. 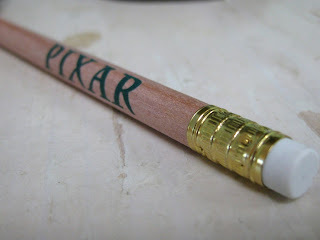 These really are great and will definitely be a prized part of my collection. 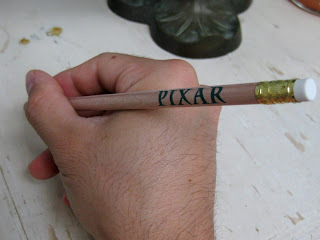 Having these is really the closest thing I can get to being at the actual studio!